Shake a tablespoon or two of celery salt onto a salad plate. Rub the rim of a double highball glass with a wedge of lemon or lime to moisten it. Lightly coat the moistened rim with the celery salt and then fill the glass with ice. Add a nice pour of your favorite vodka, top with Clamato juice (as much as you dare--but the clam and tomato juice concoction is really quite good!) and include dashes of hot sauce and Worcestershire. Stir. Repeat to make a few more and bring a tray-full across the way to the beach to share with good friends. While Baby and I were away in Maine for our vacation, we went even further down east. What gorgeous weather we had! We spent a wonderfully wild overnight in Wayne, Maine (yes, we hadn't ever heard of it either) to be with our friends at their neighboring places on the beautiful Androscoggin lake. After an afternoon of frolicking about in the lake and enjoying a couple of cocktails, we sat down on a cozy porch with a few generations of family for a wonderful dinner served from a well-seasoned grill. Sliced summer squash, zucchini, Vidalia onions, carrots and a trio of red, yellow and green peppers communed with sweet Italian sausage and were served simply over buttered brown rice while we all got to laugh and talk over one another. What a delicious mix for an evening--and I don't mean just the wonderful task of composing our grilled vegetables, but the composition of friends and family as well. This photo is of our beloved island in Friendship, Maine situated smack dab in Muscongus Bay! The soup I came up with for lunch and served on our deck with a side of this incredible view isn't exactly a gazpacho; I'm not sure what you'd call it except "completely delicious"! Although the elements are somewhat the same as the gazpacho I usually make, there's so much going on here as well, quite on its own and none of it involves a blender. 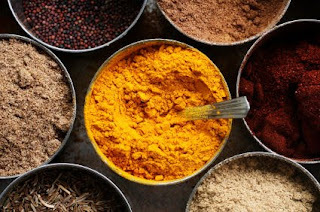 For four servings: finely chop two cloves of garlic, an onion and then saute in olive oil; put this mixture in a pot with a can of heated tomato soup that has been stirred with a can of water along with 1/2 of a small chopped pepper, 1 small chopped (seeded) cucumber, 1 chopped (seeded) tomato. Bring to a slow simmer and at the end, throw in a fistful of basil that has been rolled up and cut along the bias to make an elegant chiffonade. Cover and chill for a few hours and when you are ready to sit down and eat, please enjoy the view! Include verdant sprigs of parsley in your summer garden flower arrangements such as my cousin Meegs just gave us? When I think of Betty, my memories are long. I’ve always loved her. My folks were building our cottage in Friendship, Maine and Betty and her husband (affectionately known as The Sheriff, as that was indeed his post apart from being the love of her life) had a place down the road. Betty has a strong magic in her: I sensed it when I first met her when I was on the much more youthful side of things and begged her to read my cards, not the tarot, just regular playing cards, to tell me my future—and what the hell, it’s 30 years later, I might as well confess that we shared a Pina Colada or two and even sneaked a few cigarettes too. It was a looser kind of time in those days and what conversations we had those long ago summer evenings, laughing too, getting to know each other’s stories! Fortunate as Baby and I were to spend a couple of weeks in Friendship this year, I thought, “We have to throw a Pina Colada party for Betty to celebrate the years!” On a particular Friday around 5:30-ish our neighbors (new and old) showed up along with several friends, my parents and other family members while Betty held court—and of course, a Pina Colada or two. We served teriyaki chicken, fresh vegetables, watermelon, a pineapple-ham concoction, and mushrooms stuffed with crab on our sunset table overlooking Muscongus Bay and had an absolute ball. The man that helped build our cottage once replied to my father’s concerns about a few imperfections in its structure by saying, “Well, it’s just a camp.” It became a joke but how funny an observation, it seems now, “just a camp.” The little place built by my father on an acre of land on a road hardly seems mere to me, or any of us, I think: it’s been full of friendship and memories to fill a lifetime. The decades we’ve spent in Friendship have only confirmed what people with dear friends and places know: some things remain. Thank you, Betty. Pour about ½ cup light rum (or a little more!) and ½ cup coconut cream (such as Coco Lopez) into a blender with 1/2 cup chilled pineapple juice. Add 2 cups ice and press the button, combining all the ingredients. When thoroughly blended, pour into six appropriate glasses and garnish with wedges of lime after fairly imparting their juices. Throwing in a few maraschino cherries is perfect for the mix as well. 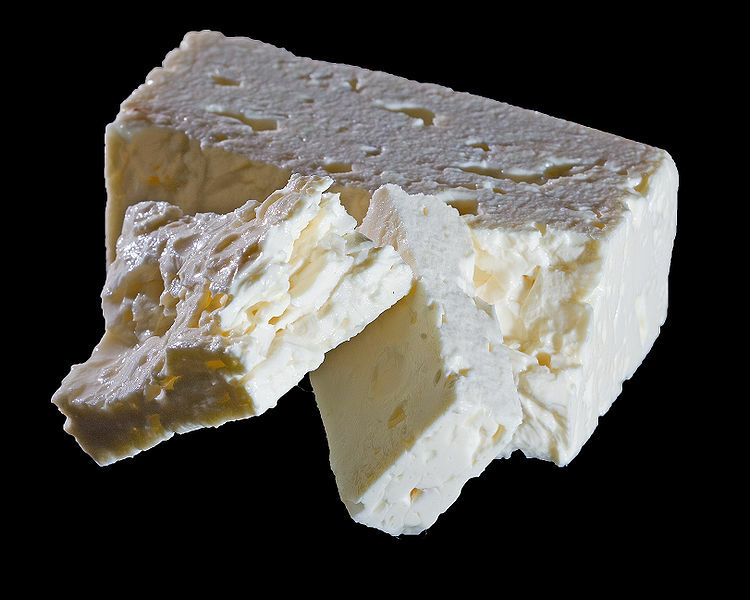 This is my go-to summer favorite for years now--ease up on the olive oil and enjoy! Probably invented in Seville, gazpacho was originally served at the end of a meal. Though there are many versions of this soup, the traditional, tomato-based Andalusian variety is the one you want on a hot afternoon or warm evening. It's salad in a blender, summer in a bowl. 1. Soak bread for 1⁄2 hour in a small bowl in water to cover. Squeeze out moisture with your hands. 2. Purée bread, cucumbers, tomatoes, garlic, vinegar, olive oil, and 1 cup water in a food processor until very smooth. 3. Push purée through a coarse sieve with the back of a wooden spoon. Gazpacho should be fairly thin. Season to taste with salt. 4. Chill gazpacho in refrigerator for at least 2 hours. Adjust seasoning. Serve in individual glasses, or in soup bowls with garnishes on the side. This is not my usual sort of post; in fact it has nothing to do with food. Rather, I would like to write about one perfect morning, perhaps the most perfect morning of my entire life. When my parents were building our cottage in Friendship, Maine, back in 1979, I was about to turn 13. During its construction, we weathered all sorts of things, living as we did in our tents planted on the foundation. I hated it. Our neighbors across the road (oh how I loved them: Margaret and Charlie Aleck) suggested to my mother that perhaps I would like to spend a night with them in their considerably more capacious abode instead of roughing it with my folks. Yes! Yes! I said yes! They had running water and a roof over their heads to further the idea. So I slept in a particular room and woke up the next morning--I don't know where anybody was but I didn't hear a sound nor did I think or consider that anybody was near me. It was a beautiful day outside, I could see that through the window. I didn't have to pee, I wasn't hungry, I required nothing: I was of myself, solely. I was young. 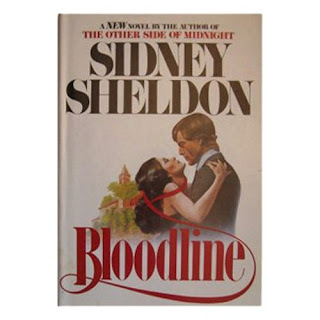 I pulled my copy of Bloodline by Mr. Sidney Sheldon from the floor and read for three out-of-pocket undisturbed hours until I finished this most incredible, page-turning novel at the ripe age of 13. Baby and I have rented the same place across the road from my parents' place for the next two weeks and I found a paperback copy of Bloodline from amazon.com just like the one I had 30 years ago. I'll be re-reading it for sure, in that little room, older, maybe wiser, but probably never as perfect as I was on that single day, when I was ohh...so young. Given my flair for rampant entertaining and general proclivity toward excess, my nutritionist friend suggested over the recent 4th of July weekend that I should take some time off to detox. The task was to eliminate wheat, dairy, eggs, citrus and booze and to be accountable to her, reporting back on a daily basis. I thought about how this would really affect me: there goes my weekly slice of pizza! My pasta quick fix! There goes the grapefruit juice I add to the vodka in my Greyhounds--in fact, there go my Greyhounds! The occasional Eggs Benedict or bacon, egg and cheese sandwich I could dodge easily enough. Welcome to fresh berries, melons, fish, meat, chicken, any number of greens and lotsa water. My friend also put me on Culturelle, a course of probiotics to aid digestion and encouraged me to go back to taking my Solgar dietary supplements. 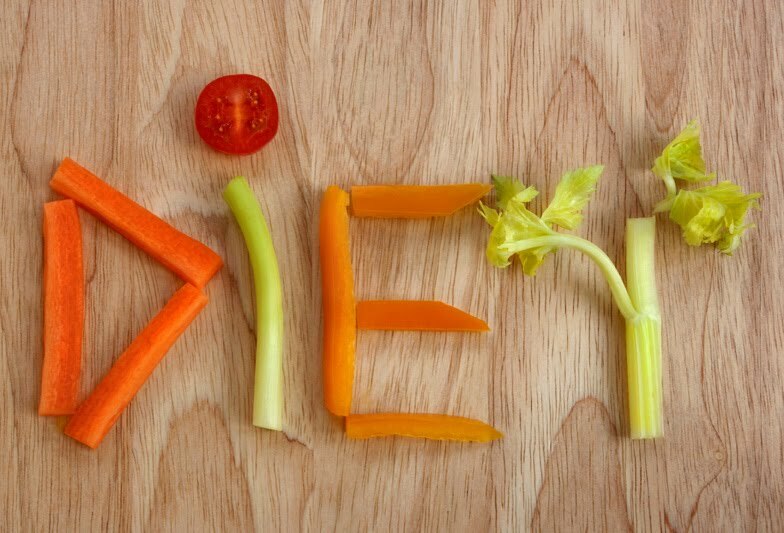 Apart from the fact that I was unable to sleep the entire time, it was the worst week to start an elimination diet, as every night was booked, but I suppose that was part of the challenge, navigating a social calendar while being mindful of what I consumed. I had a restaurant review scheduled (an Italian place of all things, the worst idea--no pasta, meatballs, or wine), a party for the magazine I write for (I ate the sliders, skipped the buns), a wine and cheese party (stalks of asparagus, edamame and I became very close), and the week culminated in a extraordinary Saturday BBQ with a bunch of my friends--none of us had all been in the same room for over 20 years. I confess I strayed a little that day with a few indulgences. So yes, I have successfully arrived intact a whole week later. I'm supposed to add stuff back here and there, but I think I'm just going to play it as it lays. I have to say I feel better! I dropped five pounds or so and was even so moved to go for a run and a swim today. I think staying away from wheat was surprisingly, oddly helpful. But I'm a food critic and food blogger for God's sake: food is my hearth and home. I'm not Richard bloody Simmons or Jillian what-have-you from The Biggest Loser, nor do I want to be. What will I take away from the experience? I enjoyed the regimen, the consideration of what we all eat and the pondering over what comprises our daily allowance. Although I don't wish to always be as rigid and loathsome in my dietary habits, the point of the exercise was well-taken, with a fine tether on such a delicate balance. Beck’s non-alcoholic beer (only barley, yeast, hops, brewing water—no wheat or alcohol!) perhaps another sugar-free pop for dessert! WILD SATURDAY 20 YEAR REUNION BBQ !!! chicken/beef burgers, ketchup, relish, mustard, some BUNS! Thanks to pathtofatloss.com for the photo. These Greek cheesey triangles make for a wonderful passed appetizer but I also suspect that when dusted with a little confectioner's sugar and omitting the pepper, they could also pass for a delicious dessert! Brush tiropites with margarine over top of them in pan. Put in oven at 375 degrees until they brown on top. A few days ago my friend brought her son over to perhaps have lunch and spend some time letting him frolic in a favorite fountain at a nearby park. Although many people have called me Peter Piper throughout my life, no one has ever asked me if I actually had any pickled peppers on hand--but this fantastic, curious boy did. I really did scour the refrigerator after his request as one never knows what might have been lately forgotten amongst the foodstuffs inside our particular fridge's chilly recesses. Alas, there were no pickled peppers (somewhat to the child's dismay, I think) but since that afternoon, I began thinking about pickling the garden fresh string beans that were sitting in our crisper and below is the way I dispatched them using a very simple recipe from cooks.com that doesn't require any canning contraptions, pickling devices, or overextended sanitizing processes--just a jar rinsed out with warm, sudsy water will do, before filling it with your string beans (or maybe another peck of just picked vegetables such as peppers) and pickling ingredients! Combine all ingredients and place in covered dish. Refrigerate. It's as simple as that! Enjoy the pickling recipe that I picked for Evenings With Peter! As far as I’m concerned, over that last decade at least, chef Scott Conant has continually sent gastronomic love letters to New York. His supple pockets of duck and foie gras ravioli and perfect coils of spaghetti and sauce at Scarpetta have sent me howling! I’ve yet to visit and surely be enchanted by his alchemic ventures in the Faustina kitchen at the Cooper Square Hotel but at a recent bazaar in its courtyard, Mr. Conant’s sauce was up for sale, 10 bucks for a small jar, made fresh that morning, and we were more than eager to try it at home. It wasn’t nearly enough to coat our glut of pasta but thankfully the recipe came with as well so we could make more. Although it calls for blanching 20 plum tomatoes and peeling off their skins and mashing them up later, I just went with what we already had in our cupboards, namely two 28 oz. cans of Redpack tomato puree although crushed tomatoes would work as well. Here’s how it went for us: the olive oil we had went in first, brought to a very hot temperature and the puree followed. A few dashes of cayenne pepper were added, with some kosher salt and freshly ground pepper to taste. After simmering down about 20-25 minutes, we let it cool and sit overnight in the refrigerator. The next day, we boiled a pound of pasta in salted water according to the directions on the box until just al dente, added the drained pasta (reserving about 1/2 cup or so of the pasta water) to the re-heated sauce, tossed around and finished off with a tablespoon of the best butter we had (Vermont Cheese Company), 6-8 basil leaves rolled up and cut on the bias for a festive chiffonade, and added in about ½ cup of parmesan-reggiano. Kao Soi - Curry Noodle Soup! My love of Saveur magazine is hardly a secret amongst my friends, thanks to the recipes I've made for them from the now well-worn, food-spattered pages. Perhaps disclosing that one issue in particular is probably my favorite is a little more forthcoming. The April issue from 1997 features many incredible dishes, several of which I've made often--Oeufs en Meurette (poached eggs in red wine sauce), Pad Thai, and Lentilles du Puy and Macaroni and Cheese which I've posted on Evenings With Peter. I'd also like to introduce Kao Soi here, an incredibly tasty curry noodle soup that never fails to delight my guests, when served with a host of colorful accompaniments such as the sweet and sour pickled red cabbage that I use, chopped shallots, scallions and wedges of lime. I skip the first step and don't fry any noodles first, as the recipe suggests--the simply prepared Kao Soi I've always made hardly needs further embellishment! "In Thailand, kao soi is made with ba mee, a variety of egg noodles, that can be difficult to find in the U.S. But lo mein–style Chinese egg noodles are a good substitute." 1. Heat about 3 1/2 cups oil in a wok over medium-high heat. Add a large handful of noodles and cook until crisp, about 1 minute. Remove noodles immediately and drain on paper towels. Pour off frying oil (which can be reused 2–3 times; strain and store in a closed container until needed), wipe out wok, then add 2 tbsp. fresh oil. Heat over medium-high heat, then add red pepper and fry, stirring constantly, until oil begins to smoke, about 30 seconds. Remove from heat and stir in enough remaining oil, about 3 tbsp., to form a thick chile oil. Transfer to a small bowl and set aside. 3. Cook remaining noodles by blanching in a large pot of boiling water until soft, about 1 minute. Drain, then refresh under cold water. 4. Divide noodles among 4 soup bowls, ladle soup into bowls, and top with scallions and fried noodles. Serve with shallots, pickled cabbage, chile oil, and limes.